Casamicciola ferry port is situated to the north of Ischia island, in the town of Casamicciola Terme. From here you can take a Medmar ferry to the city of Pozzuoli in the province of Naples, or you can travel with the ferry company SNAV to the Pontine islands of Ponza or Ventotene. Ischia Porto is the other port on the island of Ischia. Below, you can find all the Casamicciola ferry timetables, journey times as well as our best prices. Medmar currently operates a fleet of 14 top of the range vessels all equipped with the facilities to make sure you have a pleasant and relaxing journey. Ferries operating on the very short routes normally have all the facilities you would expect on a short journey. However, for longer journeys, Medmar employs ferries like the LORA D'Abundo which boast a full range of facilities. This ferry can carry up to 900 passengers and 110 cars, and can travel up 19 knots. SNAV is a major ferry company in the Mediterranean connecting Italy, Greece and Croatia. SNAV has the latest and the fastest fleet in the Mediterranean largely made up of hydrofoils and catamarans capable of high speeds while still offering comfortable journeys. On board all SNAV catamarans and hydrofoils you will find cafes and snack bars. 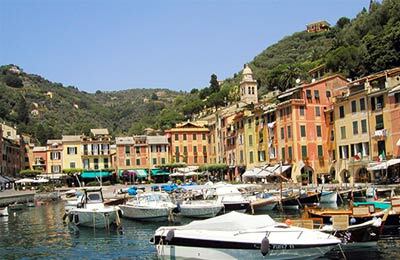 So, book your ferry to Casamicciola from mainland Italy simply and securely with AFerry today. Casamicciola ferry port is situated to the north of Ischia island, in the town of Casamicciola Terme. 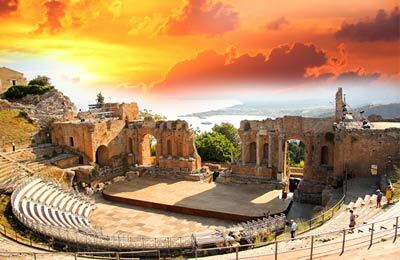 Only residents are allowed to travel by car on the island of Ischia from April to September. However, the island offers a very good bus service. Ischia Public Transport 'Eavbus runs a good bus service throughout the city including routes to and from the port.